Home / Hot Topics / New to Small Business? If you started a new business in 2016, then April of 2017 is a first big milestone for your company. Thatâ€™s the month when your first reported tax documentation is due to the IRS. Depending on your business type, you may be responsible for not only the businessâ€™ filings, but also other shareholders or partners involved in the enterprise.Â If you have employees, then youâ€™ll have another layer of documentation such as W-2 and 1099s. Â What are all of these requirements and how do you know if your business is ready to prepare and distribute them correctly? Letâ€™s review some of the basics starting with your companyâ€™s business entity. Sole proprietors can deduct â€œordinary and necessaryâ€ business expenses like any other business entity, however, more in-depth tax deductions and advantages arenâ€™t always available. It is essential that sole proprietors keep separate and distinct bookkeeping from personal and household expenses including separate checking accounts and credit cards. Partnerships are formed by two or more individuals. 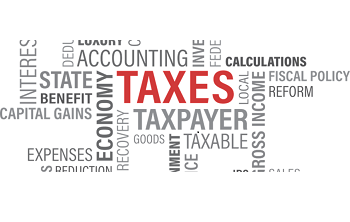 For tax purposes, income and losses from the partnership are reported on Form 1065.Â Income taxes are paid on the partnership directly, rather the partners are taxed on their share of the partnership income, regardless of whether they take money out or reinvest it back into the business. Additionally, partnerships have personal liability for any financial debts the business incurs. A limited liability corporation (LLC) has varying rules from state to state. The IRS has the option to treat the LLC as either a corporation, partnership or in a single-member LLC, a sole proprietor.Â The benefit of an LLC is that if offers the protection of a corporation from personal entanglement in debts accrued by the business (unless the loans or debts are personally guaranteed). Corporations are the most complicated structurally and are not the best option for new business start-ups.Â Over time, as the business gains revenue and growth, shifting to a corporate structure may make sense. Remember that both S and C corporations require shareholders, a board of directors, and very involved set of taxation rules.Â The transition to corporate status is not something that should be done lightly or without outside advice and counsel. Â S corporations offer small business owners the advantage of paying taxes at the shareholder level, rather than being subject to higher corporate rates. Â C corporations can deduct a wider range of expenses but must also deal with the double taxation issues. Often the same none-digit tax identification number, these numbers can be the same or different. Sole proprietors often use their own Social Security Number as their TIN for tax purposes.Â Other businesses, such as C-Corps, S-Corps, partnerships, and LLCs are required to obtain an EIN. Any business that pays wages, files pension or excise tax returns or simply wants to avoid using their personal SSN can sign up for an EIN by completing Form SS-4 or apply online via IRS.gov. Start-up business owners are exempt from making quarterly tax payments in the first year of the businessâ€™ operation; however, they are responsible for submitting them for subsequent years.Â If you are filing quarterly payments for the first time, youâ€™ll want to review last yearâ€™s income, tax credits, and deductions to calculate your expected tax burden.Â If you anticipate owing more than $1,000 for the tax year, you must begin paying quarterly tax payments.Â If you fail to submit at least 90% of the taxes owed, you may be subject to penalties.